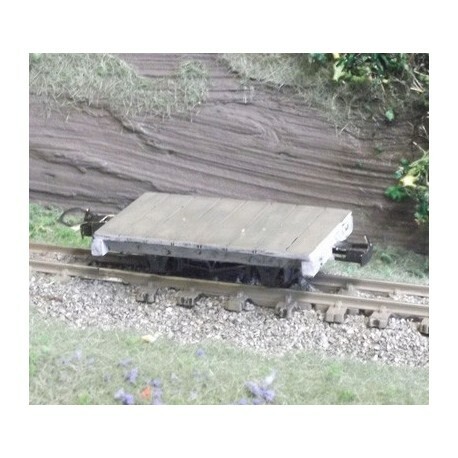 O-071: O9 flat wagon. A simple kit to produce a free-lanced flat wagon in O-scale to run on 9mm gauge track. The model requires a Peco N-scale NR-119 chassis kit and couplings of choice to complete. The kit is supplied unpainted. O-071: O9 flat wagon. 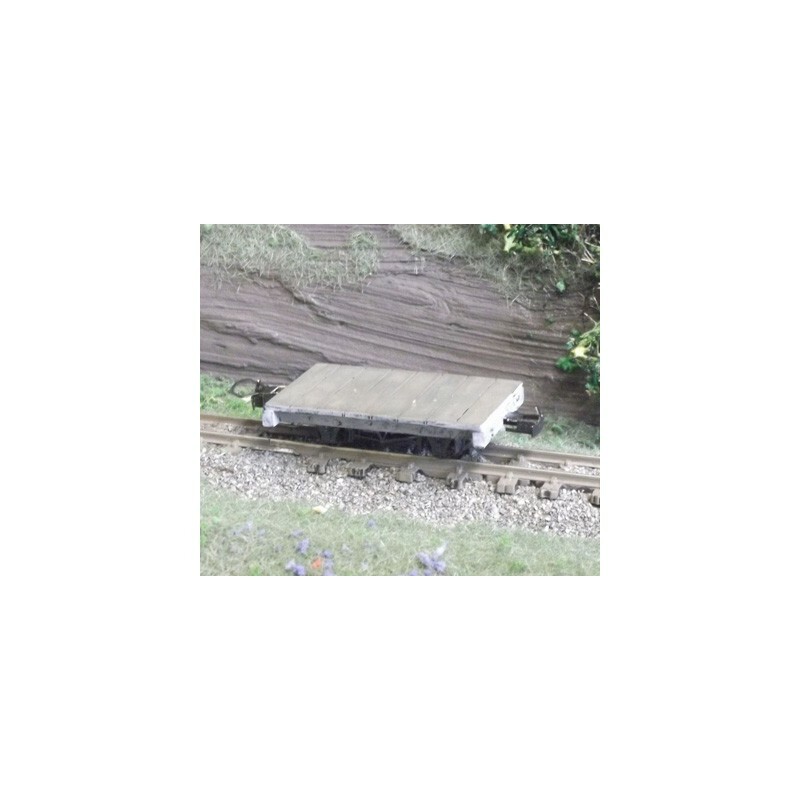 A simple kit to produce a free-lanced flat wagon in O-scale to run on 9mm gauge track. The model requires a Peco N-scale NR-119 9ft chassis kit and couplings of choice to complete. The kit is supplied unpainted.